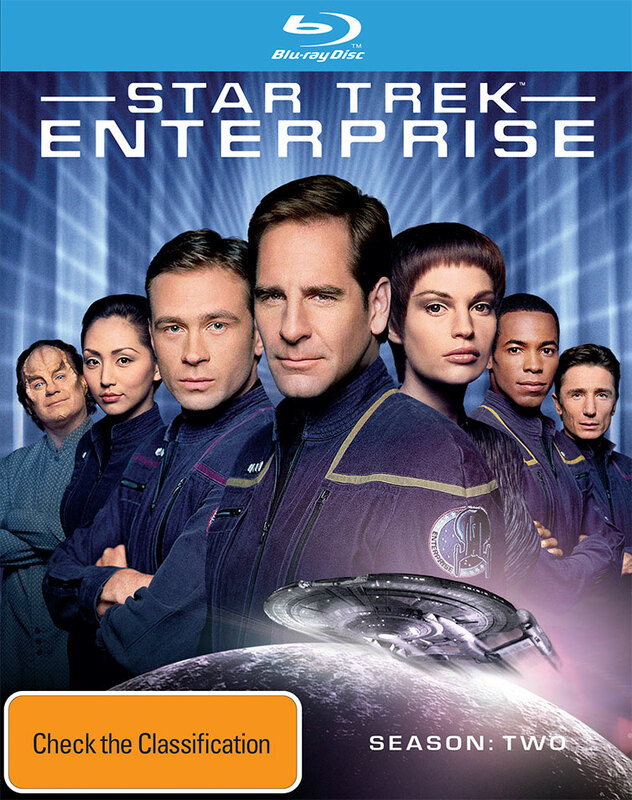 Captain Archer and his crew return in Star Trek Enterprise Season 2. From the very first episode, Shockwave Part II, we are thrown back into the Temporal Cold War, ongoing threats from the Suliban and a whole lot of exploration. 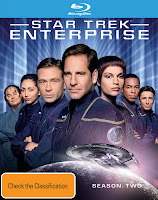 Thanks to our friends at Paramount we have copies of Star Trek Enterprise Season 2 on Blu Ray to give away. Entries close 11:59pm on Sunday 9th September 2013. Your details will not be used in any way other than for the delivery of your prize. Geek of Oz and Paramount do not take any responsibility for the loss, damage or delay of/to prizes sent to winners (blame Australia Post for that one). The judges decision is final and no correspondence will be entered upon. One entry per person, subsequent entries will be void. Incorrect answers will be void. Prizes are not redeemable for cash or any other kind of trading currency such as creds, latinum, sen, kan, zeni, double dollars or Ankh Morpork dollars. Geek Of Oz take no responsibility for head explosions caused by utter awesomeness. This competition is only open to Australian residents. Any questions or queries can be submitted through the comment section at the bottom of screen. Good luck!